Double Bagnalls at Chasewater September gala? 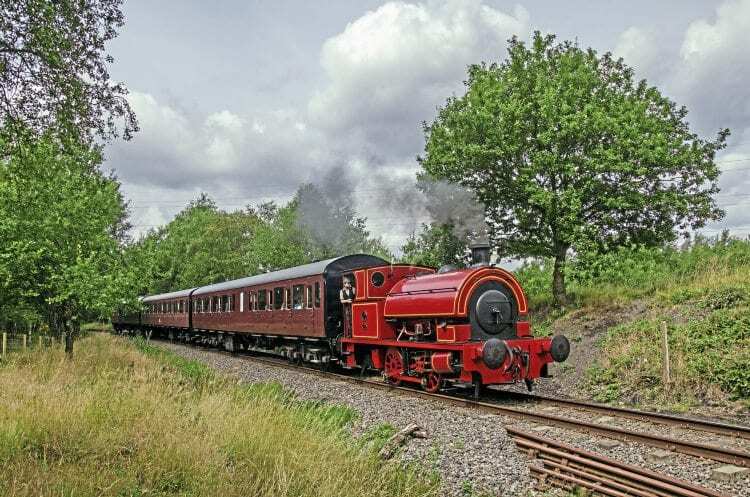 TWO 14in-cylindered Bagnall 0-4-0STs are set to star at the Chasewater Railway’s Summer Gala on September 9-10, just days after this issue of The RM goes on sale. Making its formal debut at the event will be ex-Royal Ordnance Factory, Burghfield, Bagnall Dunlop No. 6 (2842/1941), fresh from being repainted into full Dunlop green livery. The locomotive has been returned to its original Bagnall specification during its recent overhaul, moving the height of the tank to its correct position and returning the bufferbeams to their original profiles. The loco, previously known as Linda, worked its first test trains after overhaul back in May, but at the time appeared in undercoat. The second Bagnall – Kent Electric Power Company Bagnall 0-4-0ST No. 2 (2842/1946) – is a recent arrival from the Foxfield Railway. Read more in September’s issue of The RM – on sale now!